Brown Bag Fabric Challenge Reveal! We revealed the amazing creations from our 2018 Brown Bag Fabric Challenge in December. 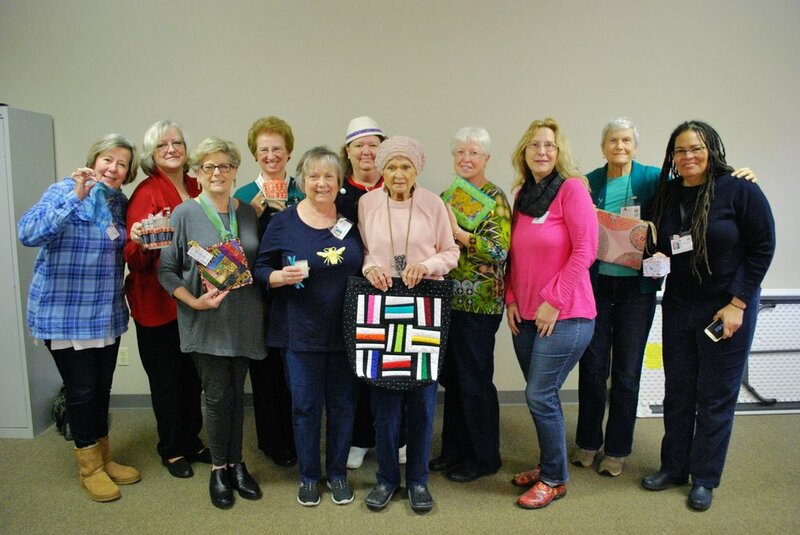 At the June meeting, each member selected a brown paper bag containing roughly one fat quarter of mystery fabric that ranged from farm animals, sunflowers, and other once-popular motifs. Audrey took a dull green calico and transformed it into a happy winter wonderland mini quilt for the @ChattMQG #brownbagfabricchallenge Look at those three little bears! It’s time to pay our annual chapter dues. 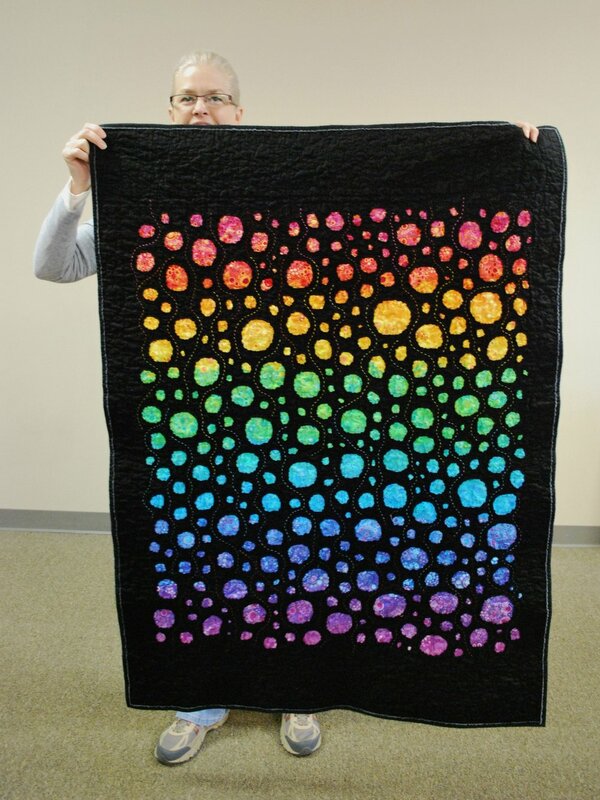 Dues are $35 per member and include membership in the chapter and the national Modern Quilt Guild. It’s a great value! To pay your dues, just bring cash or check to the January meeting. You may also send payment by mail to ChattMQG Treasurer Beverly Herron. For more information, email chattmqg@gmail.com. Chapter President Kelly Spell passed the gavel of leadership to incoming president Karen Downer. Kelly thanked the outgoing 2018 directors and welcomed the new new board. Kelly will continue to serve as past president, which is wonderful because we don’t want to lose her creative energy! Thanks to Stephanie, Karen, Vanessa, Ann, Patricia and Kelly for their service to the guild in 2018! Outgoing 2018 board members: Stephanie Quesinberry; membership; Karen Downer, membership; Vanessa King, treasurer; Patricia Steadman, secretary; and Kelly Spell, president and communications. The outgoing and incoming boards put together an exciting schedule of programs for 2019. It’s going to be a great year. Please join us in welcoming our new chapter leaders! Incoming 2019 board members Sara Bradshaw, secretary; Ann Hurley, membership; Kelly Spell, past president; Karen Downer, president; Sherry Leary, membership; Beverly Herron, treasurer; and Leslie Wade, communications. Our quilt top is coming together! 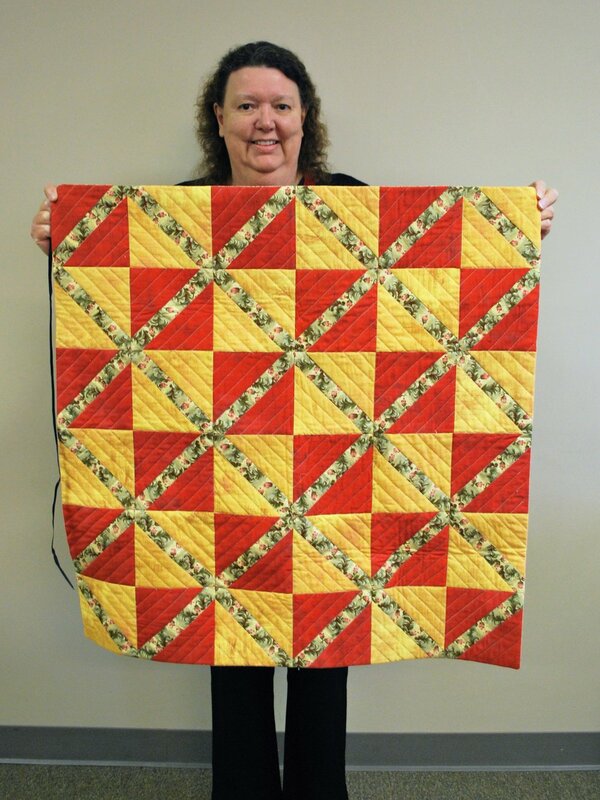 Audrey, Jean, Kelly and Mary pieced most of top together this fall. 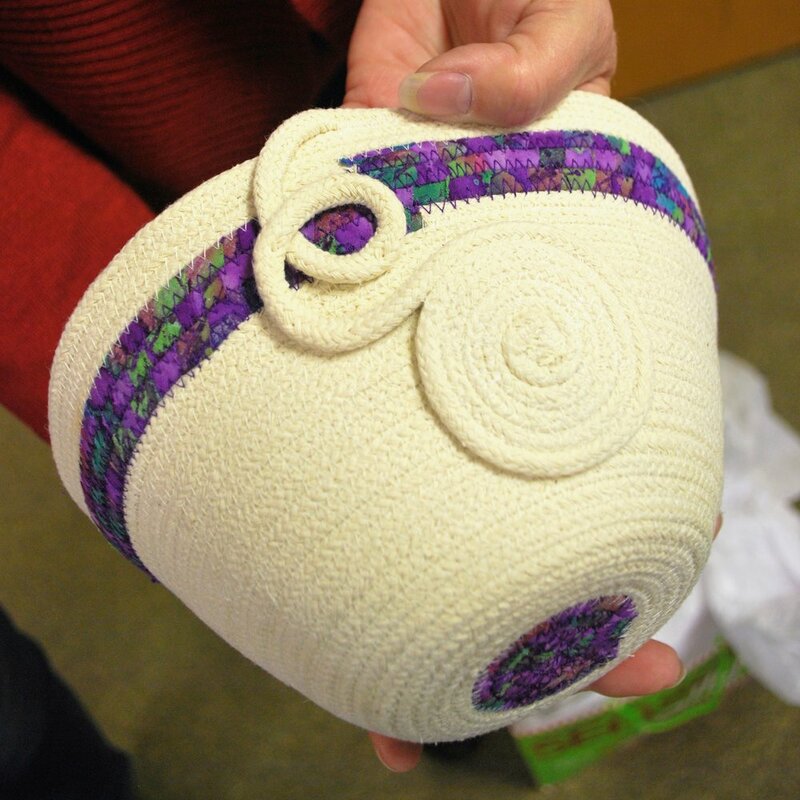 All that’s left to do is add the basket handle, and then it will be ready to quilt. 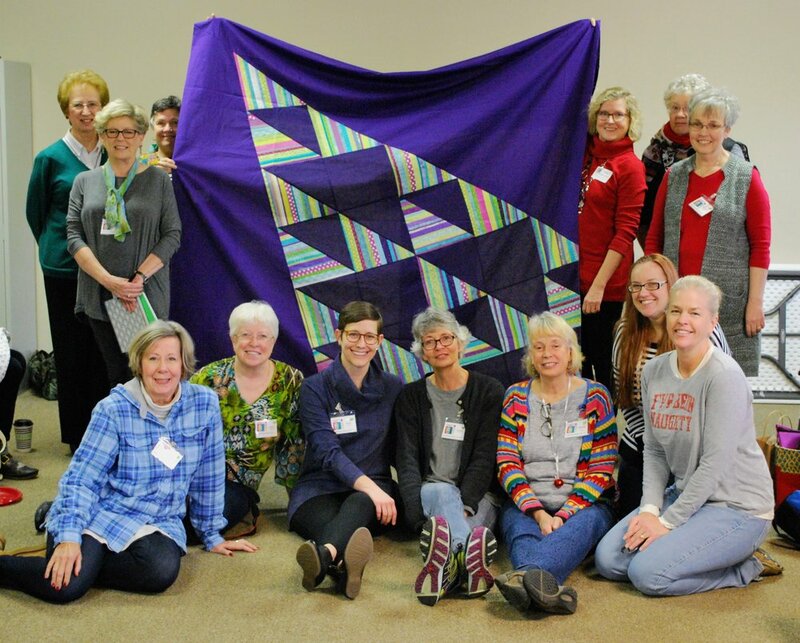 Members who stitched portions of the quilt include Theresa, Ann, Mary, Pat, Martha S., Kelly, Audrey, Donna, Leslie, Helen, Patricia, Stephanie, and Sara. Thanks to everyone in the guild who helped! 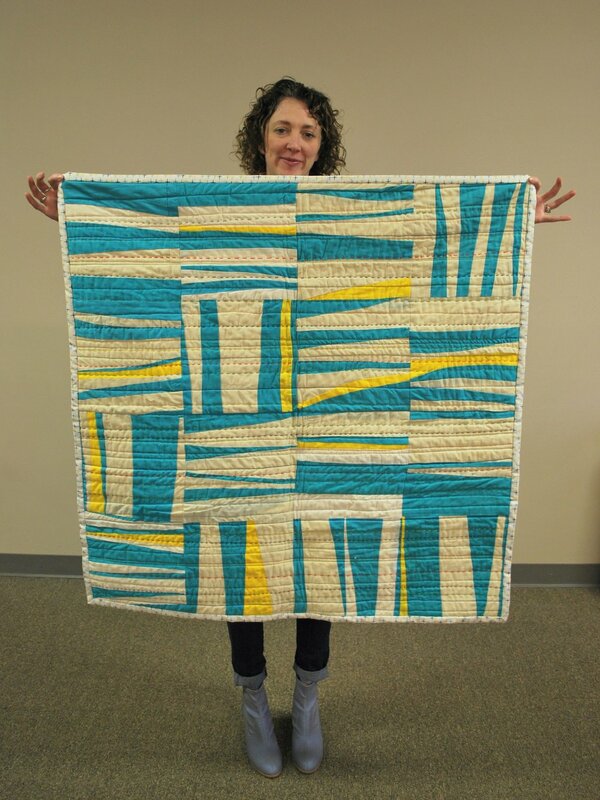 Meanwhile, Kelly shared some exciting news: in addition to QuiltCon 2019, the quilt will be exhibited at Tennessee State Museum! Between the Layers: Art and Story in Tennessee Quilts opens Jan. 24 and is scheduled to run through May. 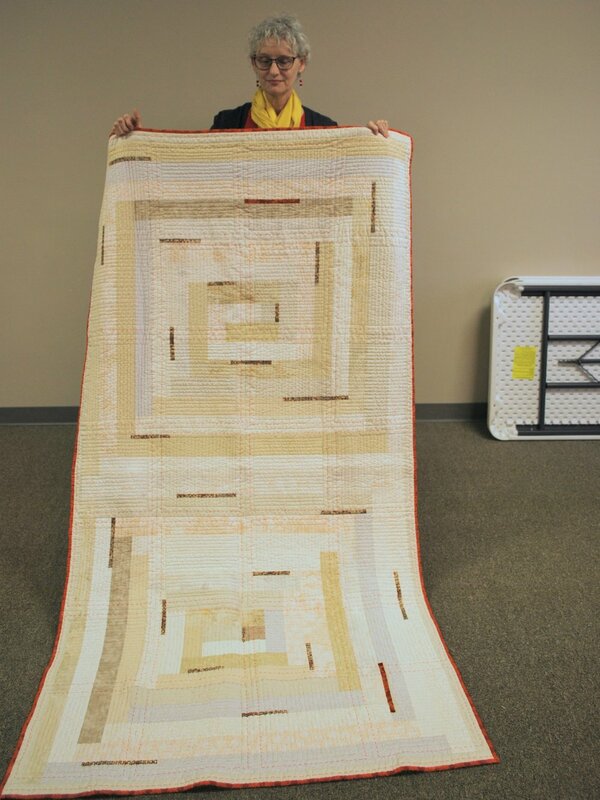 The exhibition features antique quilts of Tennessee. Since our large-scale, modern basket design was inspired by an antique basket quilt made in Raus, Tennessee, the museum thought it would be a great compliment to the exhibition. 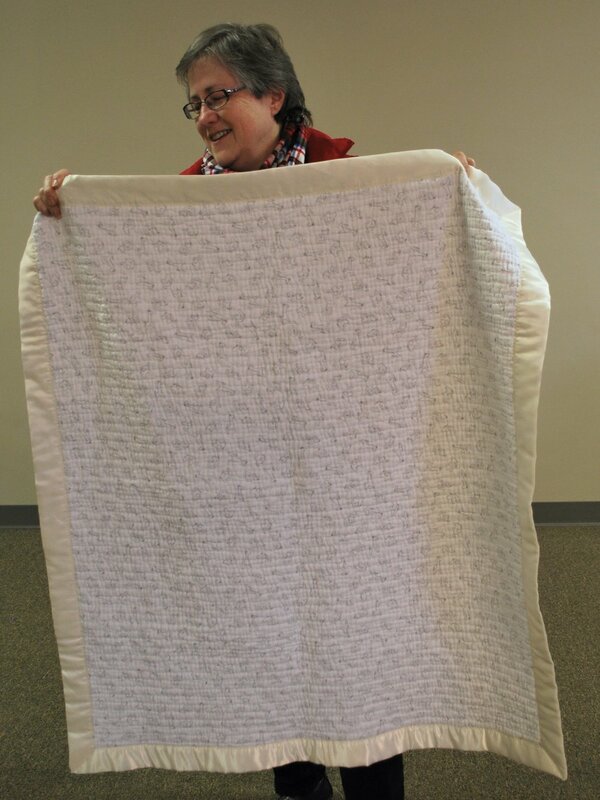 In fact, once the show closes, the quilt will be donated to the museum’s permanent collection. How cool is that?! We ended the year on a festive note with a holiday pot luck and gift exchange. The best part was watching the gifts being “stolen” by other members. The handmade gifts were beautiful and will be treasured. Holiday Gift exchange participants Pat, Karen, Ann, Theresa, Rhonda, Beverly, Gerry, Martha S., Susanne, Martha G., and Vanessa. Let’s get organized in 2019! Join us for our first guild meeting of the new year on Saturday, January 12th at 10 a.m. Bring an organizational tip, item or photo to share with the rest of the guild. See you there!